Product Design students and staff members from the School of Architecture, Design and the Built Environment Technical Team at Nottingham Trent University (NTU) recently attended the annual Fernwood Design Day event alongside industry experts from companies such as Triumph and Rolls Royce. The Fernwood School is an academy based in Wollaton and holds the annual Design Day to offer Year 9 students a chance to be part of a ‘real life’ industry day. The day is designed to give students a sense of what real life designing is all about, whilst working with industry experts on a live project brief. The students additionally gained an insight into how design skills can broaden their scope for future employment in a range of career paths as well as contributing to their general education. The Fernwood students were given the opportunity to create a sculptural installation to be displayed alongside the work of our own Product Design students here at NTU as part of the Nottingham Light Night Festival later this month. The students were also introduced to a wide variety of materials and processes throughout their day of making and enjoyed getting creative and ‘hands-on’ with alginate and plaster casting. 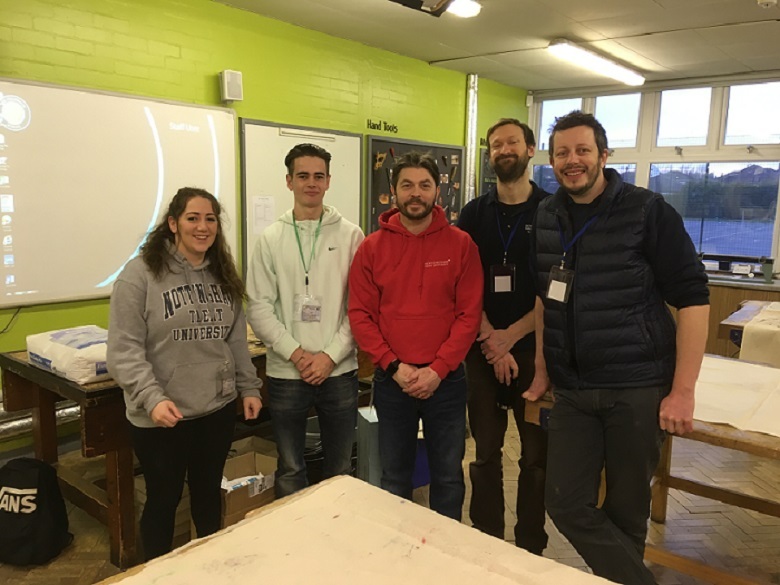 Alongside staff from the technical team were NTU Maker Club student volunteers Sophie Gilpin, a final year Furniture and Product Design student and Lukas Grundstrom, a first year Product Design student, who both offered their support as Design Day mentors.